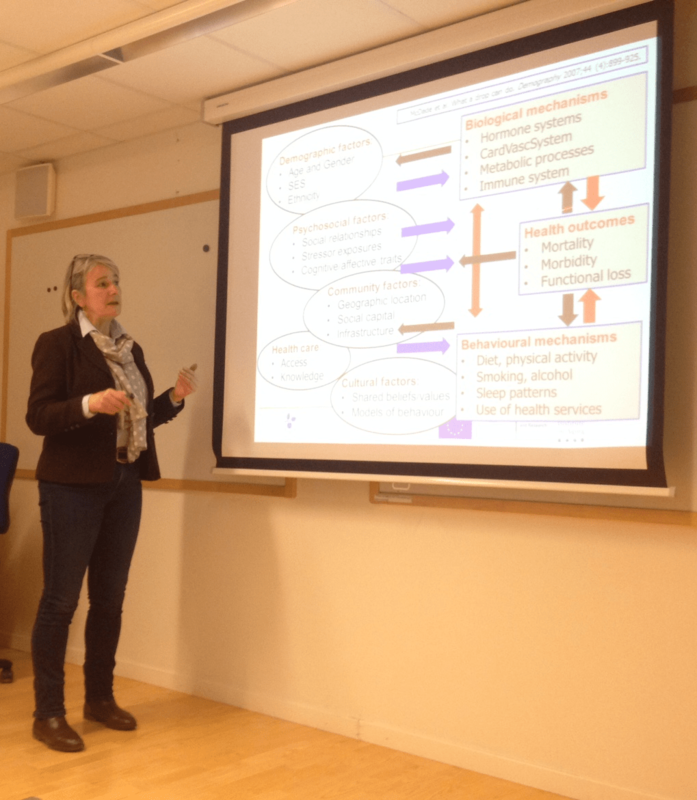 The first Swedish workshop about SHARE took place on February 25th at the Aging Research Center in Stockholm. 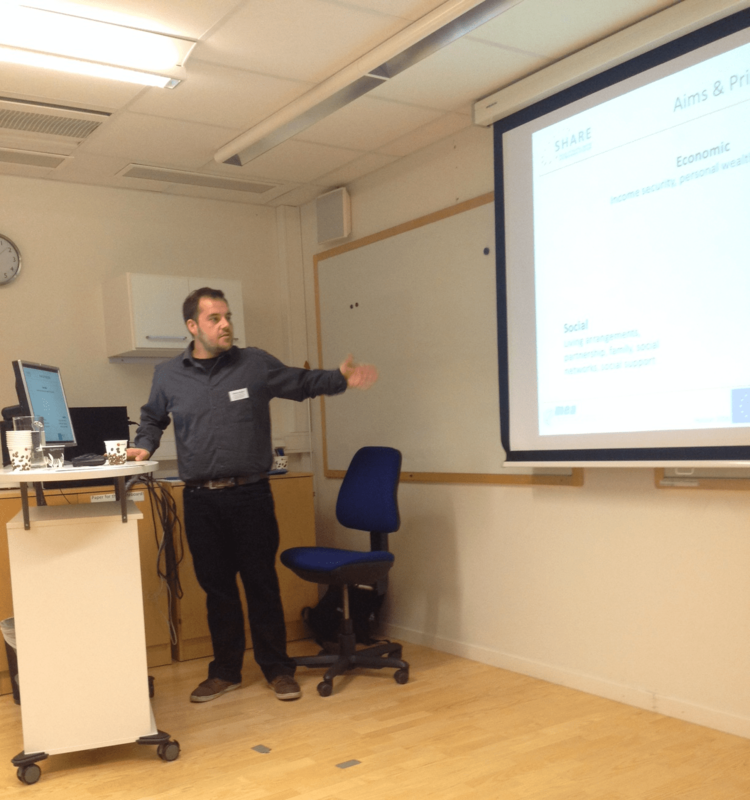 The main ambition with the workshop was to facilitate, encourage and stimulate researchers in Sweden to make use of SHARE-data in their scientific inquiry. More than 30 researchers from Sweden attended the workshop. During the first part of the workshop Stefan Gruber and Tim Birkenbach from the SHARE central coordination team at MEA gave a general overview of the SHARE-study in addition to practical information on how to work with SHARE-data. During the afternoon a presentation of biomarkers, dried blood spots and health was held by Karen Andersen-Ranberg from University of Southern Denmark. 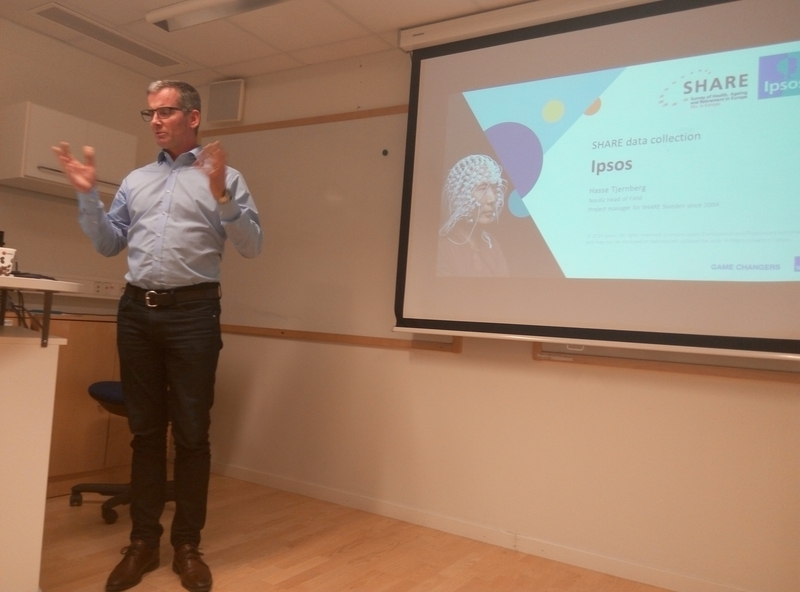 Hasse Tjernberg who is the Nordic Head of Field at IPSOS in Sweden continued with a presentation that covered fieldwork and data collection in SHARE Sweden. The workshop ended with two Swedish research presentations: Magnus Lindwall from the University of Gothenburg who presented the relationship between physical activity and cognition and finally, Minna Genbäck from Umeå University who gave a talk about attrition when using SHARE-data. Taken all in all, the workshop was highly successful and will hopefully increase the use of SHARE in Sweden. 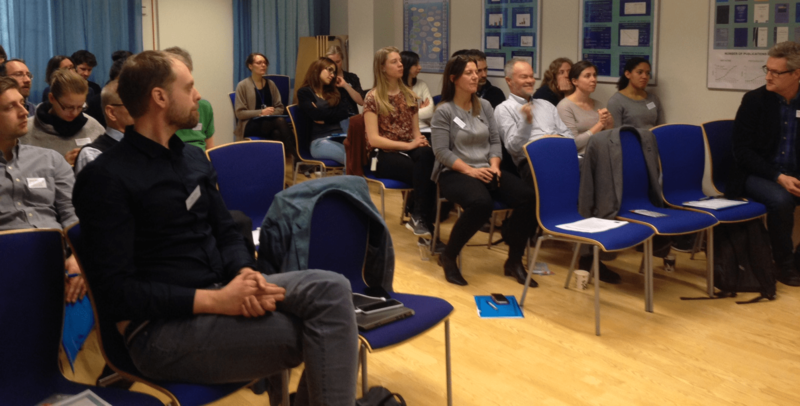 The Swedish SHARE-team would like to thank all attendees and presenters for a very interesting and successful workshop. A special thanks to Stefan Gruber and Tim Birkenbach from the SHARE central coordination team at Max Planck Institute in Munich. We also would like to give a special thanks to Carin Lennartsson for helping us to host the workshop at ARC. Below are some photos from the workshop.